PT boat 309 is housed here. Exhibited in a night patrol scene. I don’t know where this is, but I’d like to know more about 309. Those GPS coordinates (30.271229 -98.863594) and this Qingxit mark the Pacific Combat Zone Museum which is part of the National Museum of the Pacific War in Fredericksburg, Texas. This is a top-notch museum well worth a visit. 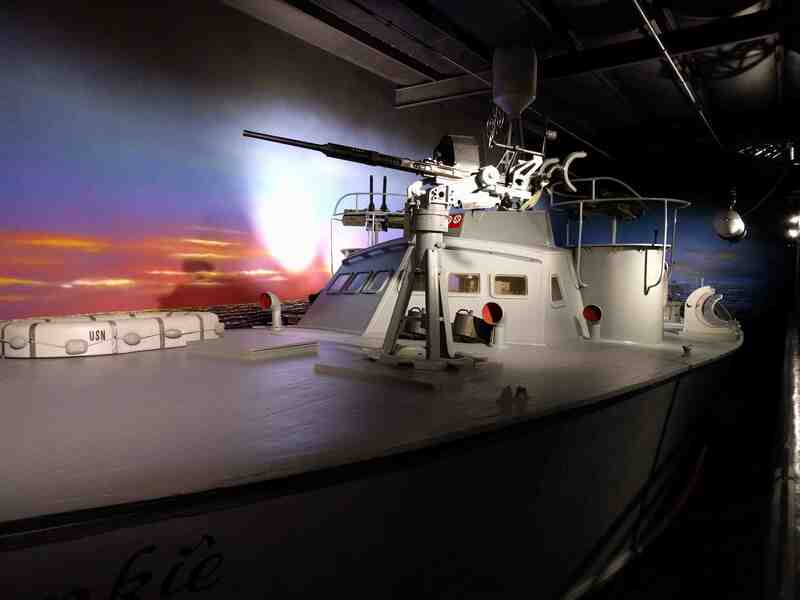 Learn more about PT Boat 309 with a virtual tour! I tried to contact them for donating items of the war upon my death, but I couldn’t send the request for some reason. Is there a contact email I can use? The National Museum of the Pacific War web site shows different ways to give. Maybe you already tried these links, but just in case, here are a couple. You can Donate An Artifact and there is a name, phone number, and email address listed near the bottom of the page. Also, a very important program and another way to give is through the Oral History program. Hope this helps and by the way, thank you so much for your service. I don’t mean to mislead, these would be 11th A/B artifacts that were my father’s. The other items are from fellow bloggers and visitors.